We are among the reputed manufacturers and suppliers of a comprehensive range of Capsule Section Machineries. 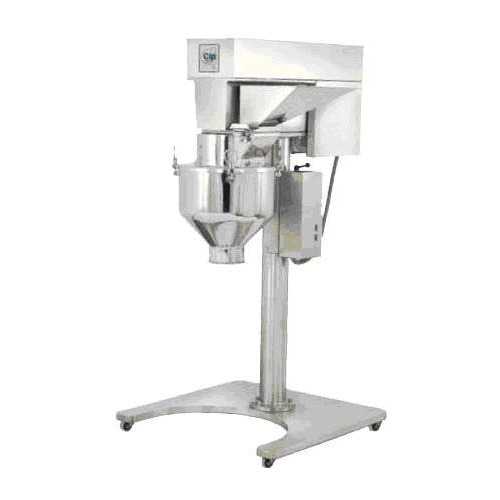 Under this range, we offer Cone Blender and Capsule Filling Machine that are available in different models and sizes at market leading prices. All our products are designed in compliance with international quality norms, using premium raw material and latest technology. These products are known for their corrosion & abrasion resistance, excellent performance and easy installation. We want to market our Products in Eastern Region, such as : Assam, Meghalaya, Mizoram, Manipur, Tripura, Orissa, Chattisgarh, Bihar, Jharkhand, Andhra Pradesh, Tamilnadu, Karnataka, Kerala, Pondicherry, Sikkim, Arunachal Pradesh, Nagaland, Nepal, Bangladesh and Bhutan. The Multi Mill is useful for various purpose like granulation, shredding, pulverization etc. The unit consists of vertically mounted 3 HP. Motor which drives the motor shaft through bearing housing. The rotor has 12 nos. swinging type knife blades and 2 nos. scraper. Screen of suitable mesh is mounted outside the rotor and material is feed from sis. hopper. All the contact parts are made out of sis. 304 quality. The unit is mounted on suitable stand with castor wheels and is provided with DOL starter, reversible switch and one number stainless steel screen. We are engaged in providing our clients with Capsule Filling Machine that is available in different models and sizes at industry leading prices. Our cylinders are widely demanded by several industries and sectors such as automobile and automotive. Moreover, we check all the products on different parameters to ensure zero defect. We also provide tailor-made solution for all the products as per the specifications detailed down by the clients. The machine will be 300 holes capacity with the production range from 20,000-60,000 capsules per hour depending on proficiency of operations. 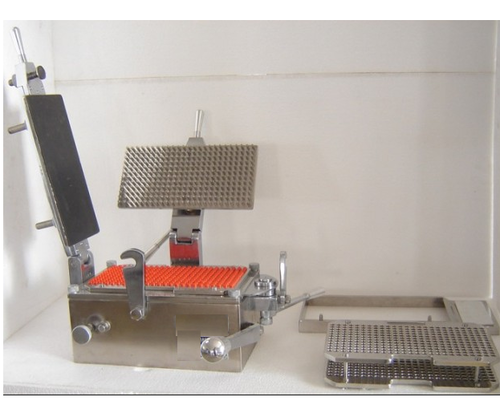 It is latest designed, sophisticated manufacturing machine.All contact parts are 304 quality S.S. sheet, plate, pins etc. It is fully hand operated. Complete with 2 Nos.loading trays,one powder dispenser. Looking for “Capsule Section Machineries”?